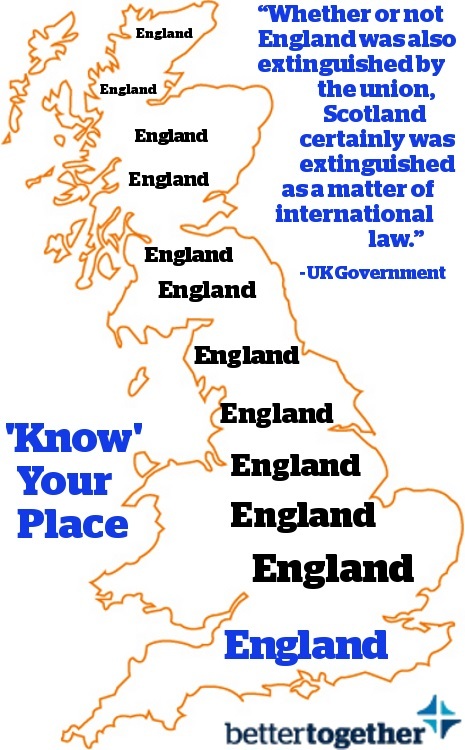 Know Your Place – an exercise in cultural mapping brought to you by Michael Greenwell. That first image should be put on billboards in Glasgow. Do you know how I can send a £1 to Croydon? Do I send it direct to the local council or is it is to some local Croydon charity or business? I know that eventually it will filter back to Strathclyde some day. Do you have any idea how long I will have to wait….? I would not bother you already contribute more than your fair share through your taxes. Scary. Depressing. 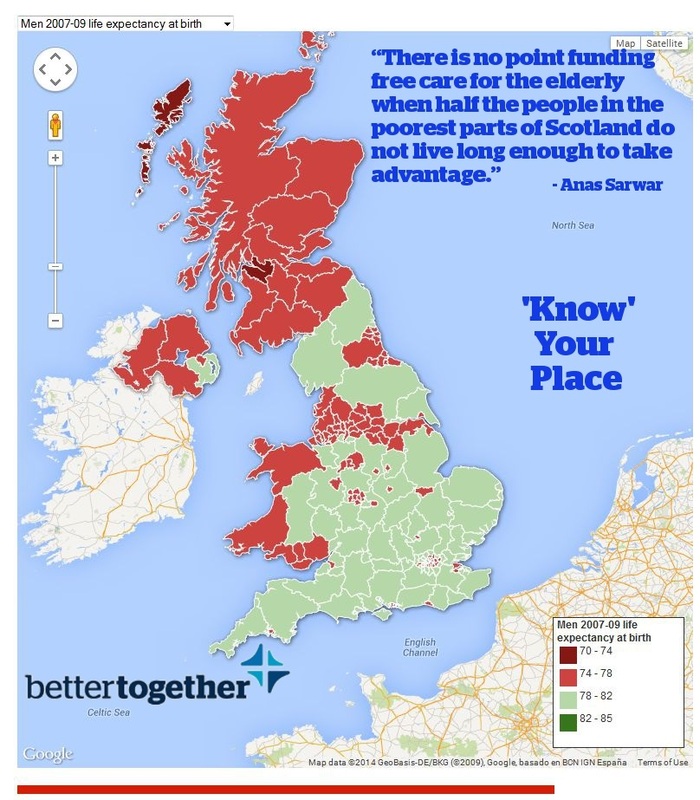 And people in Scotland still consider voting No. Fear and self-loathing are terrible things. I would suggest making up a poster and putting it beside the one I saw this morning, ” Would you like to live in one of the richest countries in the World” Vote YES. I might just make that one up! It was ever thus. Englishmen like Boris fight their corner with supreme conviction as well as every scam and psychological trick in the cosmos. Only by returning sovereignty to our people can we frustrate his and his tribe’s tricks. A no vote would not just be foolish, given the Brit nationalist rightward drift in Westminster politics, it would be national suicide. Ah Boris, another London Tory who just keeps on giving.